This is a high quality trim Ring in the popular 15 inch x 3 inch Round size. 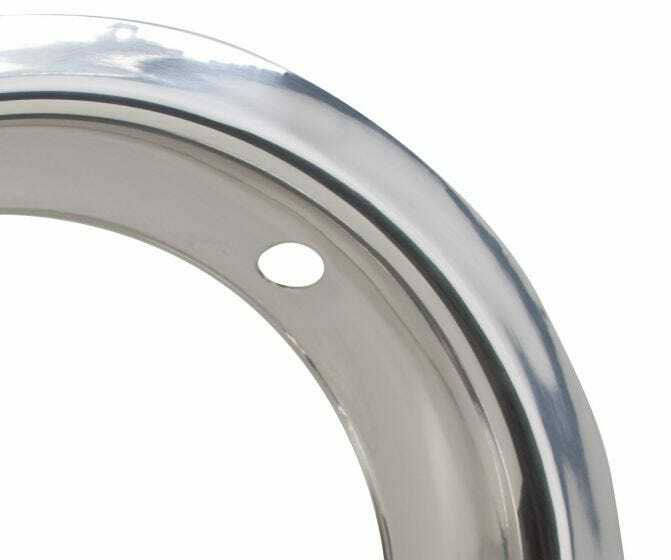 15 inch Trim Rings are great accessories to many popular 15 inch steel wheels. 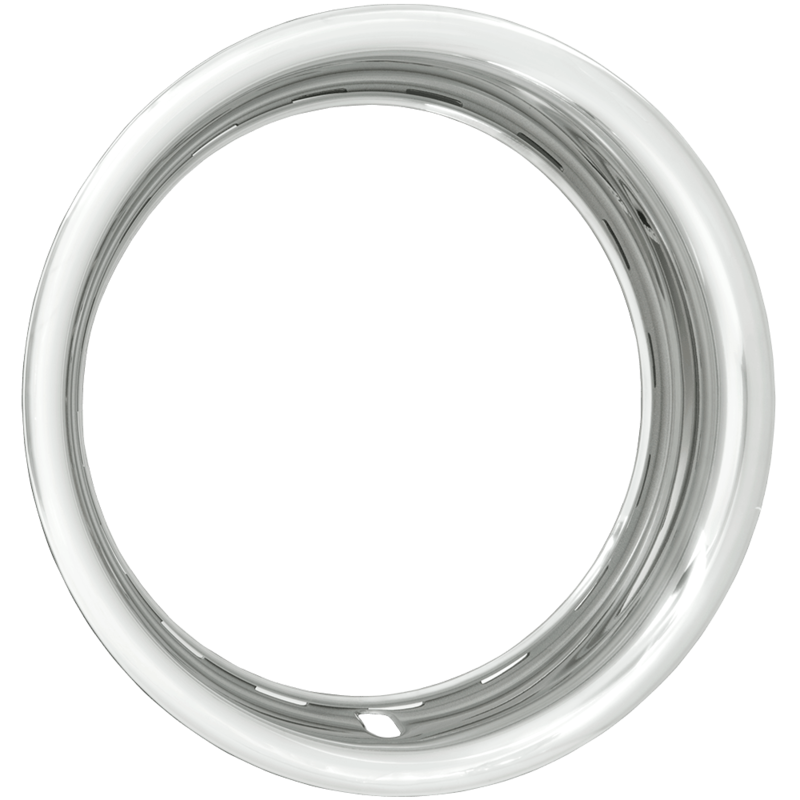 These trim rings feature stainless steel construction with a smooth, rounded profile. The beauty rings 15 inch diameter are excellent for many steel wheel applications! 2.96" actual depth, straight side valve stem opening, beveled bottom edge. Not a match for 3001-A. Used for standard depth drop centers.